I have a very sneaky secret to share with you guys. I love sweets. Ok, that’s not the secret, you already knew that. What you may not know is that I’ve found a way to eat a dessert that is actually comprised of healthy foods! 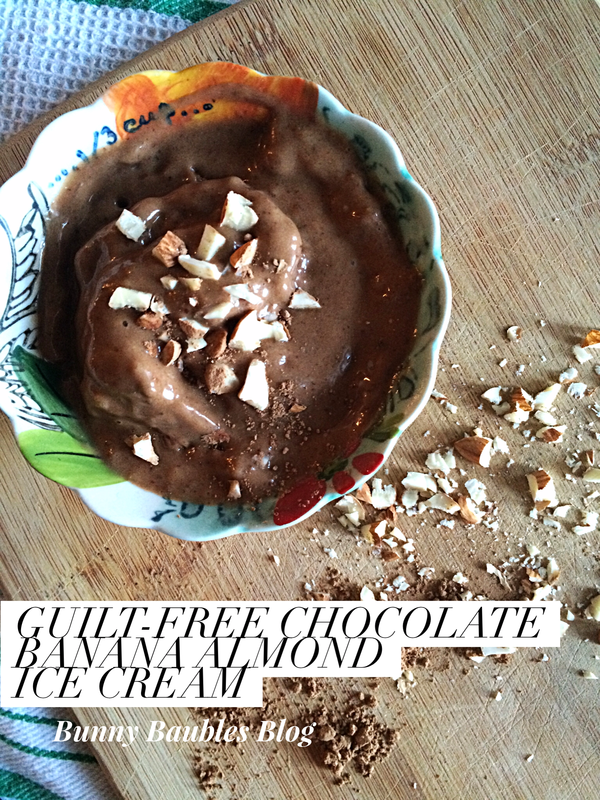 When frozen and blended with a nut butter, bananas can be used to create an amazing ice cream texture! When I found out about this trick, I was hesitant. There was no way that blending up a banana could taste like a creamy scoop of my favorite summer treat… but to my surprise it was uncanny how similar they ended up. 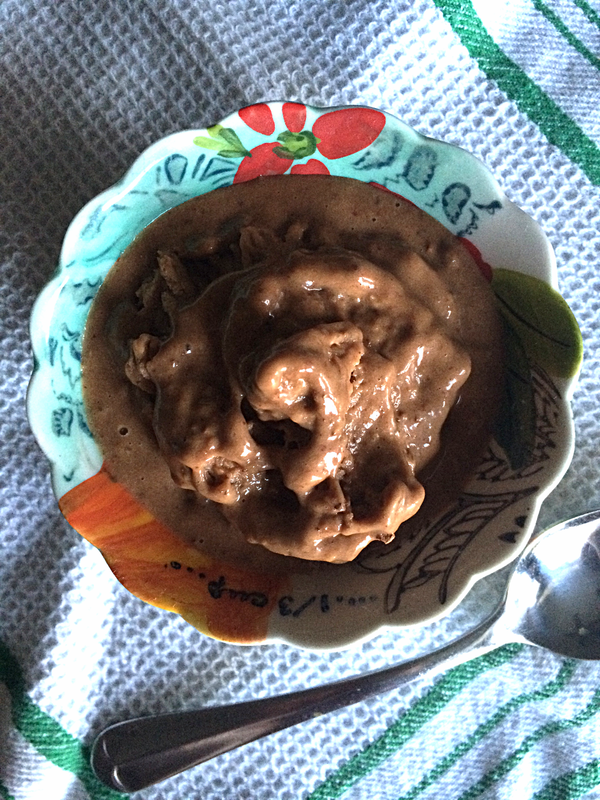 After trying this recipe a few ways, I have found my ultimate combination of banana, almond butter, and cocoa powder that results in the tastiest faux chocolate ice cream. Instead of packing in the heavy, bad fats that come from cream, this recipe packs the healthy, unsaturated fats found in nuts. Including more nuts in your diet has also proven to lower your risk for heart disease, so what are you waiting for? Though this post was created when I heard about Nuts.com, I had already been working on this recipe to share with you guys! Though another nut butter, like peanut butter, could be used to create this treat, I’ve found that the almond butter does a great job at balancing the sweetness level of the banana and bringing out the nutty chocolate flavor. Almonds are also high in Vitamin E, and have twice the iron and five times the calcium as compared to peanuts, so I feel like it makes this an even smarter choice for our healthy dessert. 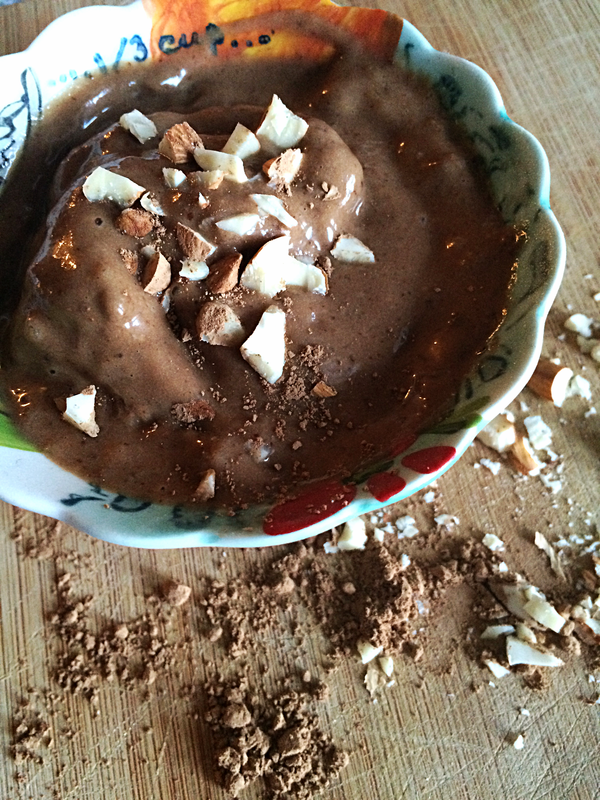 Try out this recipe the next time you’re craving ice cream and let me know what you think. 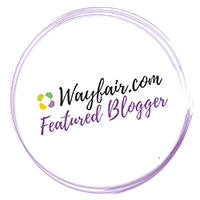 I think you’ll be shocked at how similar the taste is to your traditional ice cream, and you’ll benefit from the nutrients found in the healthy ingredient list! Start by chopping up your ripe banana into slices and freezing it for at least 5 hours (I slice mine and store them in the freezer whenever I have bananas that are going bad, that way I can make this ice cream any time I want!). 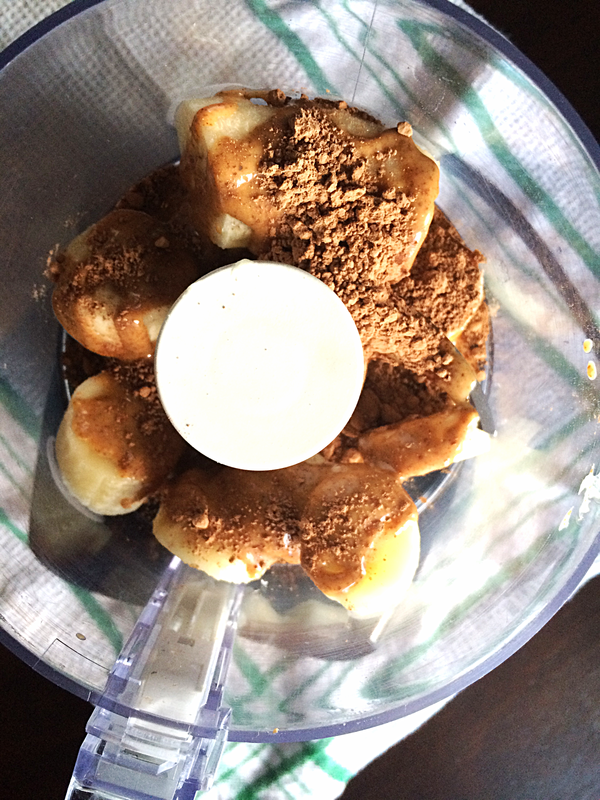 Once the banana is frozen, place it into a food processor with the almond butter and cocoa powder and blend until fully combined into a smooth consistency. Scoop into a bowl and serve immediately, or place in a Tupperware container and freeze for another hour for a thicker consistency.